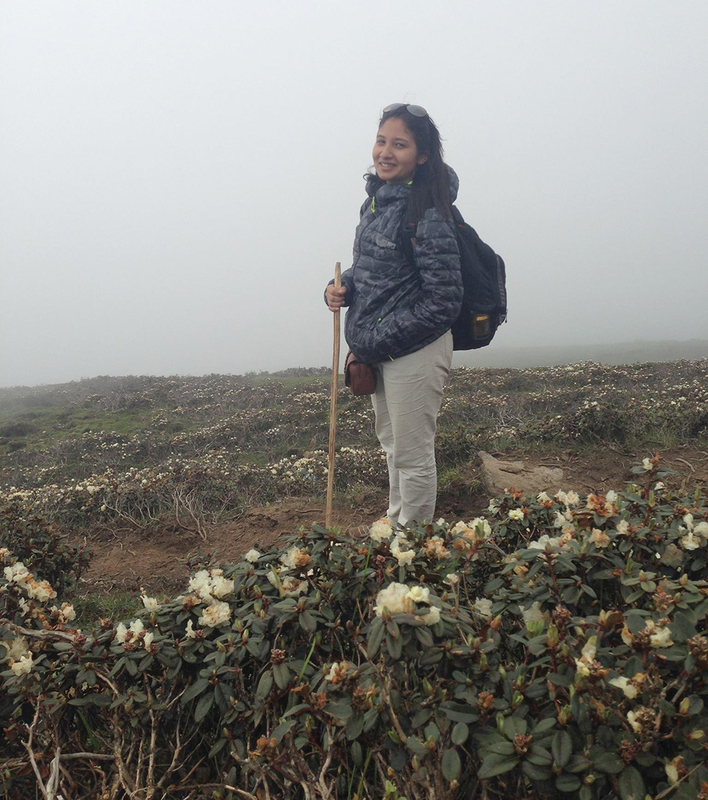 The Gosaikundha Trek is all about trekking to Gosaikundha Lake, a lake situated at about 4380 meters above sea level falls under Dhunche-Gosaikundha-Helambu trekking route, one of the most popular trekking routes. Gosaikundha Lake is a holy lake with a religious context. It is believed that Lord Shiva, to save the Universe from a poison, drank the poison extracted from the sea and with a burning throat had to find some place to cool himself down. So he struck his trident to release a burst of water, in a place now referred to as Trishuldhara which is the source of Gosaikundha as well as the famous river, Trishuli. In the cascade of same events, Lord Shiva is believed to have created multiple lakes, which includes the famous Bhairav Kunda and Naagkunda among others. The trek stared from Dhunche which is also the headquarter of the Rasuwa district and is around 8 hours drive from the Kathmandu valley to reach dunce we have to reserve the seat previously so that we can seat and go. We reached Dhunche at around 3 and we both decided to start the trek on that day. So we started to walk till Deurali. Since it was first day of trek and a half day on the bus so we decided to walk till Deurali only .Deurali is 2650 m from Dhunche till then we can see the springs and the rivers .we rested on the Deurali that day on a tent there. It was my first time on trek I was excited to experience everything. We did a camp fire along with the other travelers and danced for a while because we needed more energy to walk next day . The next day in early morning at 6 we started our trek we headed towards Dhimsha, a few hour walk from Deurali. The route beings to slightly ascend from then onwards until you reach Chandanbari or Singompa. Singompa is a beautiful little stop en-route, with lots of hotels and a DDC’s factory where you can buy Cheese for the road. Most people take rest at Singompa and the next day ascend to Lauribina take another stop before they reach Gosaikundha. When I reached to the chadhabari my mom felt the attitude sickness I could see many people were returning from the place but I did not want my momto return from the place. One needs to very strong because the high altitude air hits the person and it is hard for respiration. So my mom took a horse from there .and I rested there for an hour there had my meal and then gathered courage and started my walk to Lauribina next stop before gosaikundha.chandhbari as its name had a lot of tree of chandhan and we could see he Tibetan tea on the base . One of the best place to see . Beings with a steep climb up towards Luribina or Lauribinayak, the names varying with different people, and some even calling it Lauri Bina (Lauri; Stick and Bina; without, meaning without stick). Generally refereeing to the steep climb which requires help of a walking stick, and without one it would be hard. Although not completely impossible without a stick, it is safe to say that this is the toughest portion of the Trek. After the exhausting climbing, the trail is relatively easy when compared to the other portions. After a few minutes of passing a small Buddha stuppa, along a small walking trail, the Bhairav kunda resides on the left side, followed by Naagkunda and finally Gosaikunda. The total time from Cholangpaty to Gosaikunda fall within a time frame of 4-6 hours depending upon the walking ability. After spending the night at 4380 meters, either the same route can be followed back or a route through the famous Lauribina pass to Ghopte can be taken. Also, one can take a separate route to Syarfubesi down the Cholangpaty way. If the former route is taken, either Dhunche or Syaafrubesi could bereached by night fall, and if Ghopte route is taken, then 2 more days is added to the trekking route ends with reaching Dhunche, or Syaafru and since the buses only leave the town during the morning, a rest at one of these two places is a must. But we choose the same route and returned by then we were out of network coverage I called my dad. And then we call Deepak silwal uncle with whom we had promised to meet after returning back from the trek. 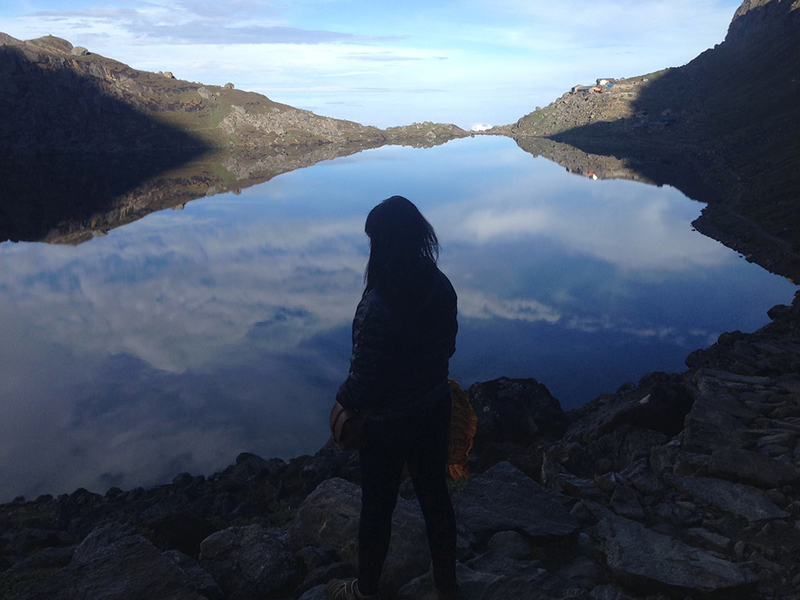 NOTE: Gosaikunda Lake is one of the most sacred religious sites for Hindus, with thousands of Pilgrims from Nepal and also from India visiting the kunda during the Janai Purnima festival. But tourism wise, it’s visited almost all year round with a break during the extreme winter conditions. The Lake remains completely frozen for about a 5 months’ time (Generally October to May).